Desperate to escape a humdrum life and the social pressure of finding a husband, Helena retreats to her dreams, where she encounters the man of her dreams. But this courtship is no stroll in the garden for our beautiful heroine, who must fight her way through a series of extraordinary visions, nightmares and memories if she is to make true love a reality. 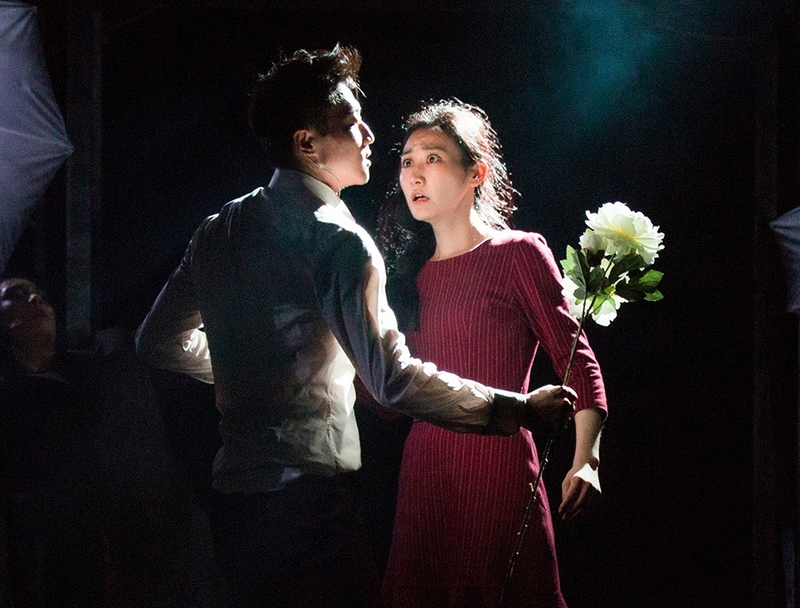 Inspired by A Midsummer Night’s Dream and Tang Xianzu’s mythical romance The Peony Pavilion, The Dreamer is unlike any other Shakespeare adaptation – an imaginative, free-flowing work that seamlessly blends movement, melodrama, comedy and live music into the most bewitching storytelling. In collaboration with British physical theatre gurus Gecko, the Shanghai Dramatic Arts Centre have not only injected new life into classic texts but given them a vibrant modern twist. Featuring stunning shadowplay, an immersive soundscape, exceptional set design and an all-Chinese cast of powerfully expressive performers and musicians, The Dreamer is a feast for the eyes and the ears. Prepare to be transported. The Dreamer is a feast for the eyes and the ears. It is one of the major theatre productions in the 2019 Auckland Arts Festival and plays 21 to 24 March at The Civic.